What a story we have in this young shepherd who battles the champion of the Philistines. David reminds us, “The battle is the LORD’s, and he will give you into our hand.” David goes into the confrontation with weapons he has used for years. He takes a stand for his God who will show that he is mightier than the god of the Philistines. When we go to battle against an enemy of God, do we go with God? Or do we assume we are in the right and that God will assuredly fight for us. It is not God who is on our side. It is we who need to be on God’s side. 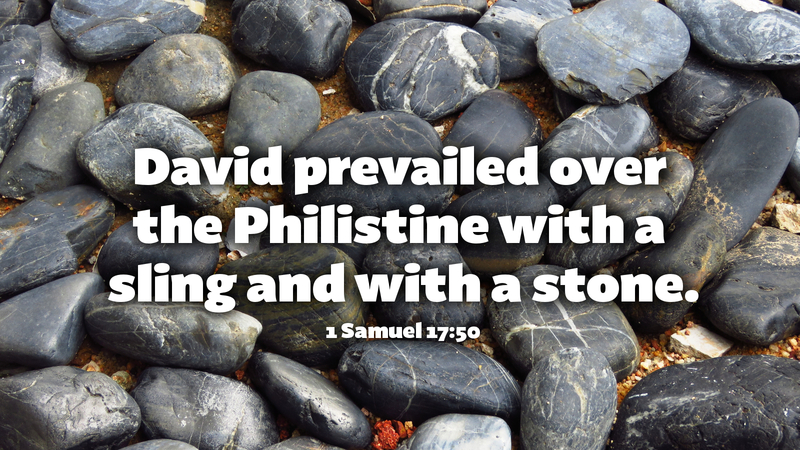 David was incensed that the Philistines would defy the armies of the living God. Are we also filled with righteous anger against sin and evil, the enemies of God? We know it is God who wins the battle for us, and not with swords or spears. Have we become proficient with weapons of the word of truth and prayer? May we be prepared to rightly handle the word of truth, trained in righteousness, praying always that we may walk with God to his glory. Prayer: Lord God, fill us with righteous anger against sin and evil, and teach us to love sinners. Amen.